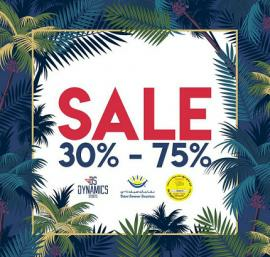 Dynamics Sports - Part Sale 25% to 75% Off. 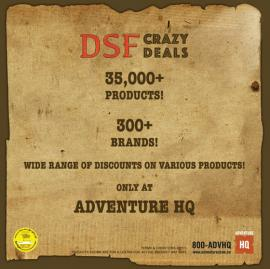 This Dubai Shopping Festival get crazy deals and a chance to win exciting prizes at Adventure HQ stores. GoPro Karma Drone 1,795 AED. Promotion valid until stocks last. Available exclusively in Beyond the Beach stores. Beyond The Beach - 3 DAY SUPER SALE. 10-12 May 2018. Beyond The Beach - Mega Offer. 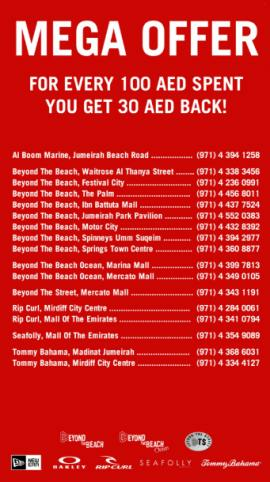 For every 100 AED spent you get 30 AED back! Buy 2 And Get 3rd FREE at Beyond The Beach. Promotion valid until April 9, 2018. T&C Apply. 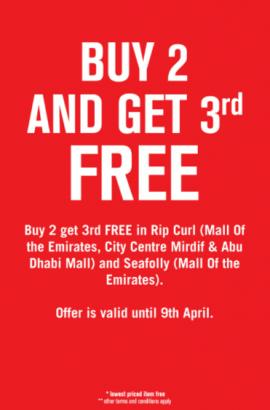 Buy 2 And Get 3rd FREE on selected items at Rip Curl. Promotion valid until April 9, 2018. T&C Apply. 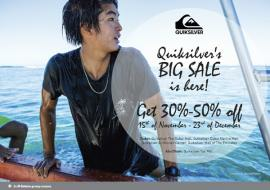 30% - 50% discount at Quiksilver's big sale between 15th November and 23rd December. 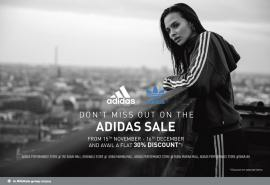 Don't miss out on the Adidas Sale for a flat 30% discount until 16th December. 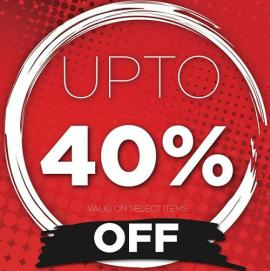 *Discount on selected items. 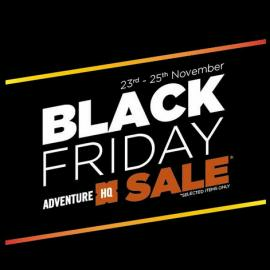 Adventure HQ - Black Friday Sale. Selected items only. 23rd - 25th November. Billabong - Up your beach style with unbeatable offers. Valid until November 15th. Quiksilver - Amazing Offers! 2 Backpacks for the price of one. 2 Tees for 180 AED or 3 Tees for 250 AED. Valid until November 15th. Get ready for a new adventure this school year! For every purchase of products on selected brands at Adventure HQ, you’ll get a free session at Adventure Zone! Offer valid from August 13th-26th. 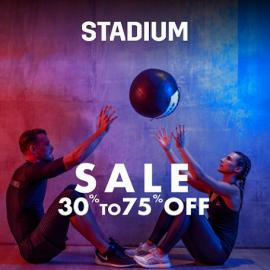 Stadium - SALE 30% to 75% Off. 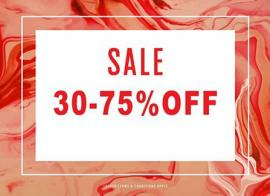 Get your favorite streetwear with up to 75% discount in Beyond The Street stores. 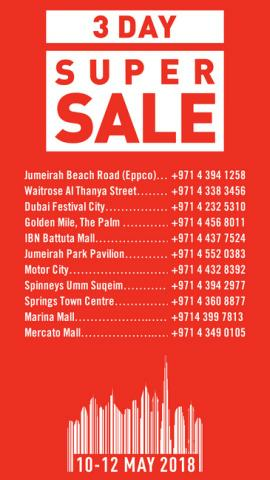 Store locations: Mercato Mall and City Centre Deira. 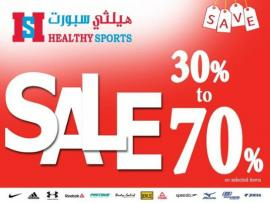 Sun & Sand Sports - Part Sale, 30% - 65% off. 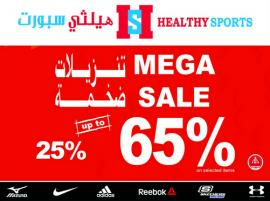 SportsOne - Mid Season SALE. Get 30 - 70% off on apparel, accessories and footwear on select merchandise. 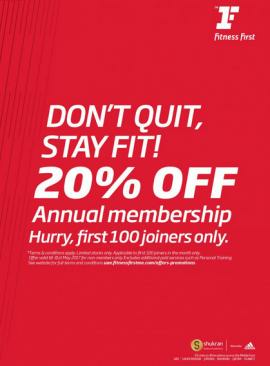 Join Fitness First and get 20% off Annual Membership. Don't Quit, Stay Fit! Hurry, first 100 joiners only! T&C apply. 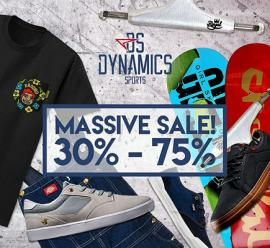 Dynamics Sports - Massive Sale! 30% - 75% off. 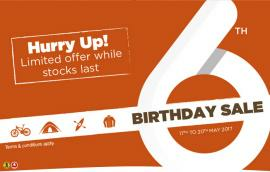 Adventure HQ 6th Birthday Sale. 30% to 75% off. 17th to 20th May 2017. Hurry Up! Limited offer while stocks last. T&C apply. 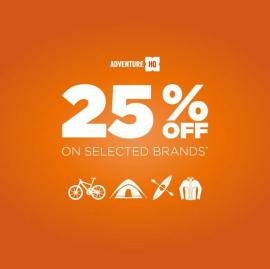 25% off on select brands at Adventure HQ. 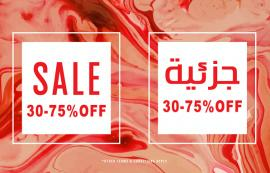 Offer valid until 23rd April in Times Square Centre, Dalma Mall and Yas Mall. SportsOne - Spend More Earn More. 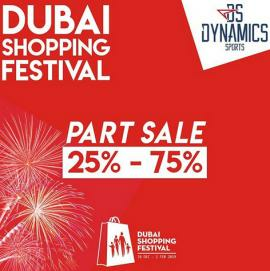 Spend AED 250 Get AED 50 voucher. Spend AED 400 Get AED 125 voucher. 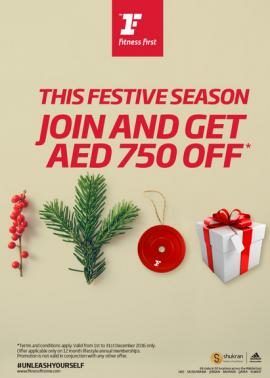 Spend AED 700 Get AED 300 voucher. Spend AED 1000 Get AED 500 voucher. Adventure HQ - Part Sale, 30% to 70% off. 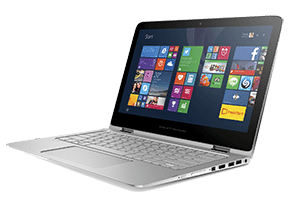 Limited offer on select products while stocks last. Adventure HQ - Extreme Sale, up to 75% off. Limited offer on selected products while stocks last.